Our informative reiki courses are taught by a true reiki master who will guide you through the coursework and provide the necessary attunements for each reiki level as you progress. Enroll today! 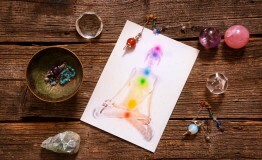 Each course is uniquely authored and instructed by a devoted expert in the field of Reiki. Our online courses are instructor-led and self-paced. You have 6 months to finish any course on our service. If you need more time to complete a class, you may easily renew your subscription for continued and uninterrupted access.